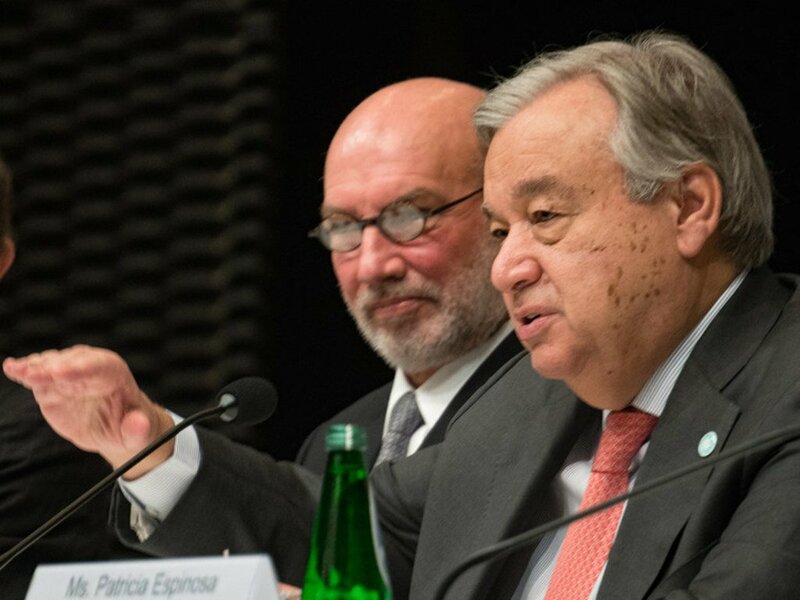 United Nations Secretary-General António Guterres briefing on the 2019 Climate summit at COP24 in Katowice, Poland. 4 December 2018. To his left is Special Envoy for 2019 Climate Summit, Luis Alfonso de Alba.